Stakeholders in the Siouxland area are partnering to host an inaugural Intern Connect event on Thursday, September 29 from 7:30-9:00 a.m. on the Sioux City campus of Western Iowa Tech Community College (Rocklin Conference Center B174; Parking Lot 2; Entrance 6). The event is designed to help employers strengthen ties with institutions of higher education and learn about available internship services. 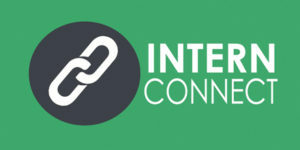 Intern Connect is sponsored by the Sioux City Growth Organization, City of Sioux City, Siouxland Chamber of Commerce, The Siouxland Initiative, South Sioux City Chamber of Commerce and the Dakota Valley Business Council. A light breakfast will be provided and employers are asked to register by visiting www.siouxcitygo.com/intern-connect. Leadership Siouxland Accepting Applications Through August 31. Leadership Siouxland is Currently Accepting Applications–through Aug 31. The Leadership Siouxland Board of Directors are currently accepting applications for the 2016/2017 class, which kicks off on September 15th. The 9 month, structured program covers a variety of topics each month including economic development, public safety, diversity, non-profits and volunteerism, arts, politics and government, education and more! In addition, participants take advantage of the Gallup Strengths Finder assessment, Talent to Strength coaching and personal development, Positive Leadership curriculum (on emotional intelligence areas; authenticity, gratitude, purpose, etc. 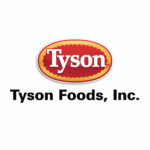 ), in addition to the opportunity to and meet and develop relations with amazing leaders from the tri-state area. Participants have found increased leadership skills, community involvement and appreciation, self awareness, lifelong connections, networking opportunities and a fun and engaging opportunity to make an impact in the local community through a sustainable service project. Classes start in September and go through May. The tuition for the program is $675 (meals, curriculum and supplies are included). Scholarships are available. The all-day orientation is fast-approaching on September 15th from 8:30 a.m. to 4:00 p.m., while the other classes are normally held the first Thursday evening of each month from 5:30 p.m. – 9:15 p.m. 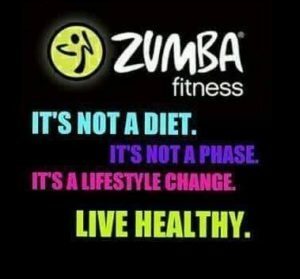 Consider joining this year’s class, or send a co-worker! It is a great opportunity to give your business great visibility and provide a great investment in one or two of your employees! 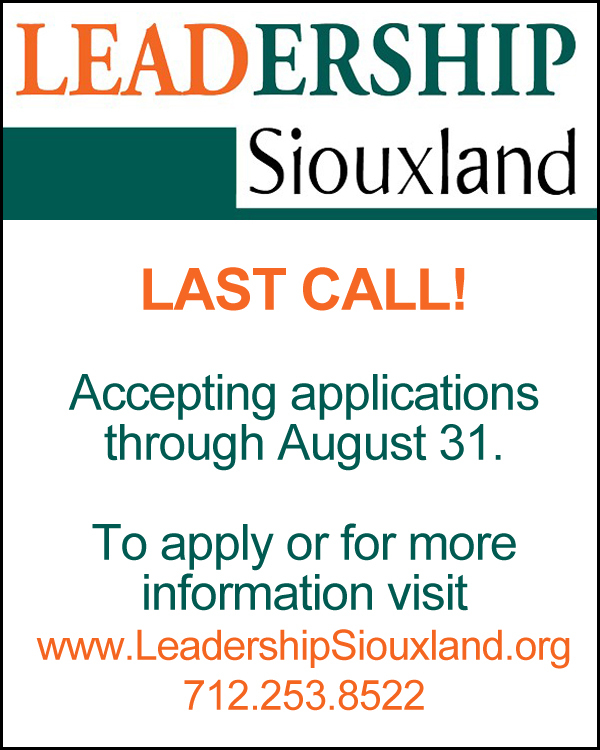 For more information, or to apply, visit www.LeadershipSiouxland.org before August 31st. Sample craft beers, bid on unique auction items, and visit with artists about their work at the Dorothy Pecaut Nature Center’s “Nature Calls” fundraiser Saturday, September 10 from 6-10 p.m . at the Sioux City Convention Center. The “blue jeans casual” evening includes nature art, beer tasting, food, raffles, silent auctions, and a live auction. Guests can sample more than 30 brews and craft beers including Oktoberfests, IPAs, ciders, lagers and beer alternatives. In addition there will be some select wines to sample at the event. Complimentary non-alcoholic beverages and delicious food will also be available throughout the evening. “This event is extremely popular. People look forward to it every year because of the relaxed atmosphere and unique combination of artists, beers, and auction items,” said Dawn Snyder, Dorothy Pecaut Nature Center Programs Director. “Our goal is to raise funds for conservation and education programs,” continued Snyder. Eight area artisans and nature-themed vendors will exhibit their items available for purchase at the September 10 event. Items include fused glass, bowls from reclaimed wood, natural soaps, honey, cutting boards, natural-edge slab furniture, graphite wildlife drawings and even salsa. Artists include Julia Licht from Artery of Sioux City; Tori Engelhardt from Wild Hill Honey of Sioux City; J. Mark Lary from Second Chance Woods of Sioux City; Vanessa Wodtke of Bloom Wild from Hinton; Lynn Jarvis of Snowflake Woodcrafts from Hornick; Susan McCulley from Sioux City; Doug Johnson from Johnson’s Mill of Sioux City; and Reez & Hoi from Heartland Salsa of Sioux City. A highlight of the event is the Live Auction which includes Kansas City Chiefs vs. New Orleans Saints football tickets; fine jewelry; custom made knife; original artwork; Xpedition Compound Bow and much more. 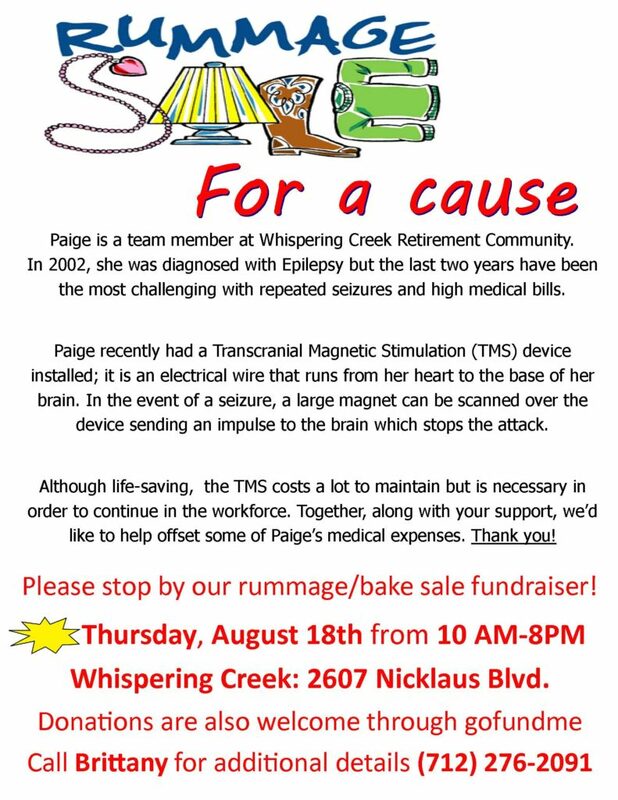 In addition, more than 60 Silent Auction Items have been donated for the event. Several cash raffles will be featured with proceeds to go toward Summer Youth Programs. There are two gun raffles this year featuring a 2016 Ruger .22 Semi-Automatic Pistol and 2016 Ruger 10/22 Rifle in Mossy Oak. On September 9 and at the door the tickets increase to $35 each. TravelPlus TLC is hosting a 3-Par Golf Championship on Sunday, August 21st at Sun Valley Golf Course benefiting Boys and Girls Club of Siouxland. Shotgun start is at 1:00 PM, $50 per participant + $12 per person for cart rental. Your participant fee includes 18 individual holes of 3 par golf, clubhouse awards dinner and guest celebrity speaker, Clark Rupert, PGA Chairman. Flight prizes, pin prizes and more courtesy of the following sponsors: TravelPlus, TLC, Dunes Eye Consultants and Luciano’s Restaurant. Register today – participation is limited. Call TravelPlus at 712.233.1113 or Sun Valley Golf Course at 712.258.9770 to make your reservation. The Annual Peach Sale is Back! The weather has been great for growing peaches in Colorado. Siouxland Youth for Christ is once again offering for sale, these delicious, handpicked peaches. Peach prices have stayed the same this year. The cost for these mouthwatering peaches is $35 a lug. Thank you for your order as well as your support of Siouxland YFC and the outreach to over 1,200 youth around Siouxland last year. Each lug is 18 pounds. There will be two delivery dates: August 15th and 29th. Peach orders can be picked up at 1807 Nebraska St., Sioux City, Iowa. You can place your order and pay online here! Sioux City native, Shelby Houlihan, a graduate of East High School, who won an NCAA Championship and multiple All-American accolades while competing at Arizona State University qualified for the Olympic final by finishing in the top five of her preliminary heat in Rio de Janerio, Brazil today. The Olympic final race in the women’s 5,000 meters is scheduled to begin at 7:40 PM Central Time on Friday evening August 19th. The event will be broadcast LIVE by KES Productions in partnership with NBC’s News Channel 4 KTIV. Siouxland Chamber of Commerce President Chris McGowan said the decision to host another “Watch Party” for Houlihan was an easy one. “Immediately after Shelby qualified for the Olympic finals, all of our planning partners immediately concluded that we should host another community-wide ‘Watch Party’ to support our home-town Olympian,” said McGowan. 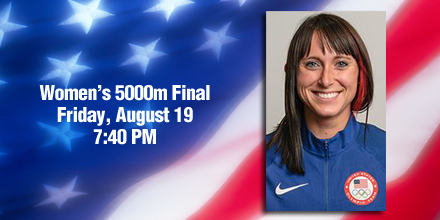 Join us in cheering on one of Siouxland’s own in the 2016 Summer Olympics. Admission is free and open to the public. Refreshments from some of Siouxland’s leading local companies will be served and a cash bar will also be available. For more information call the Siouxland Chamber of Commerce at 712-255-7903.